Rebecca proposed to Sian in Rome in front of the Trevvi Fountain. According to Rebecca, one of the benefits of being a bride, marrying a bride is having two sets of rings. So it was a matter of who is going to be the first to propose. And when in Rome.. Living in the UK, they didn't want any part in the glamorous over the top wedding. That's just not them at all. Going against their code however, they planned for something at home but the constant clawing of making everyone happy, made them feel worse. 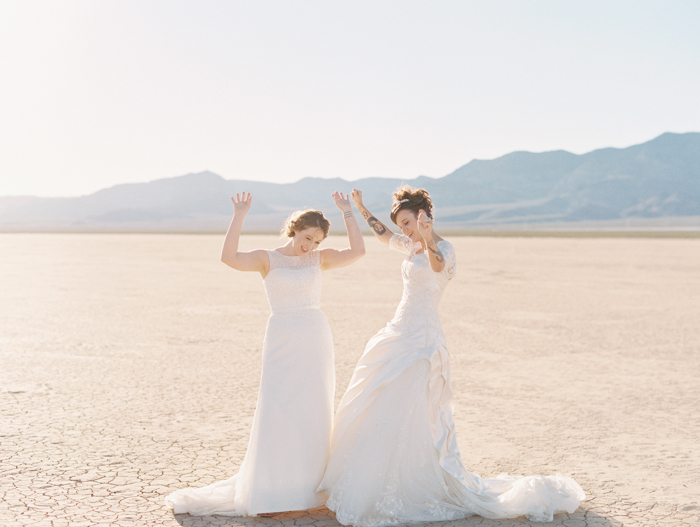 They scrapped that whole idea after being invited to their friend's wedding in Las Vegas. So on a whim here they are researching everything there is to know about a low key elopement in Las Vegas. 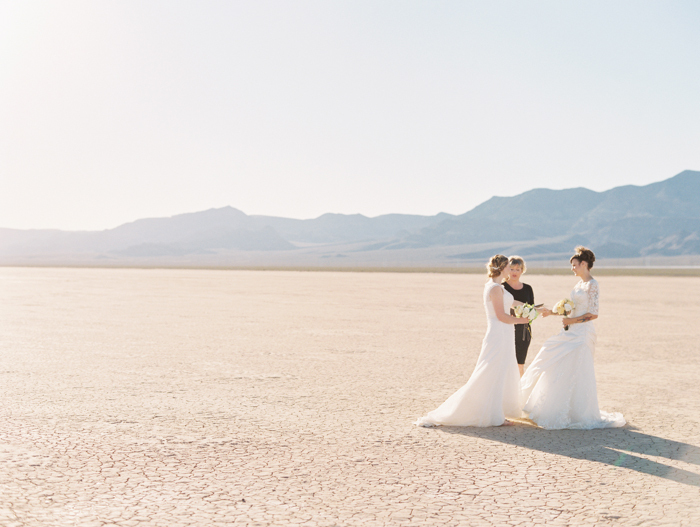 They both wanted something really different and the dry lake bed in it's secludedness was perfect! They had the best of both worlds, intimacy in the desert & the twinkling lights of Vegas. They wanted their day to be fun and stress-free. By doing so, they both had 6 stacks of pancakes and waffles as soon as they woke up. Then they got pampered by getting their hair and makeup done. Followed by bringing a bottle of champagne and Bouchon's finest macarons for their "first cake." Rebecca's advice would be that it is one day in your life so make sure it's the way you want it to be. Not all the other people who may be attending. She loved the fact it was just the two of them there.